The Electronic and Technical Arts (ETA) studio at BARN is generally modeled after a “makerspace” or “hackerspace”. We are interested in rapid prototyping and fabrication, 3D printing, laser cutting and etching, embedded electronics, and software. Members of the studio are enthusiastic experimenters with the Raspberry Pi, Arduino and related micocomputers and microcontrollers. You’ll find the ETA Studio an ideal environment to experiment, try new things and spur your creative thinking. Lots of miscellaneous electronic tools, hand tools, electronic parts, etc. Come to one of our monthly orientation sessions to check out the studio and ask questions. These are free and open to the public on the first Saturday of each month. You can contact us with questions here. Open studio times are a great opportunity to stop by and check things out as a non-member. A studio monitor is available to answer any questions you might have or to help reinforce the information gained at an orientation. For non-members, there is a $20 drop-in fee to use tools. Please bring cash or check made out to BARN. 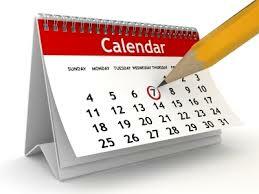 Our monthly recurring events are either free or for a nominal charge. Be sure to verify event in the calendar and enroll if requested. Our laser cutter is a Full Spectrum Gen 5 Hobby model, with a 45 Watt tube. It is generally capable of cutting wood products up to 1/8” and acrylic (Plexiglas) up to 1/2”. It can also mark many other materials. Its cutting capacity is approximately 20” x 11-1/2”. The Laser is available for use during open studio times, by BARN members who have attended the Introduction to Laser Cutting monthly orientation class. We usually use the free program Inkscape to design for the laser. Makercase is a tool for generating box plans. The majority of printing is done using PLA filament. It is easy to work with, gives off no fumes or harmful particulates, is widely available and is inexpensive. PETG and nylon filaments are approved for use, though both are more difficult to work with than PLA. We have had good results with PLA from MeltInk, eSun, MakerGeeks.com and filament found on Amazon. Check with a studio monitor before purchasing if you have any questions. Use Cura software to slice your model for printing. The default profile for the Ultimaker 2+ is fine. For the Prusas, change the default settings to settings posted in the studio. This will give you better results and fewer print fails. gcode.ws is a helpful site to for visualization and analysis of your gcode file. The studio has a soldering station complete with microscopic assist for very fine soldering activities. Refer to How To Solder. A Rigol DS1104Z 4 channel digital oscilloscope is available. A fairly comprehensive guide is XYZs of Oscilloscopes. for a wide range of electronic projects. Here is a handy multimeter tutorial from SparkFun. * Both Slack and Github are available to ETA members and require member authorization to access content. Request access here. Click on calendar to view events. Click on photo to view studio Facebook page.